Because many of us heat our homes to the mid-60s, even in the winter, a traditional weight down comforter can be a little too warm. 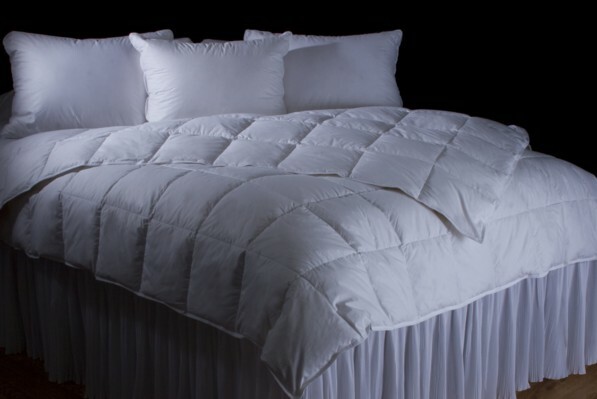 Enter Summerfield; a light weight comforter that can be used year-around. Imported from Hungary with 92% Hungarian white goose down. 750 fill power / 8" box construction.